Kandui Villas, the Mentawais Premier Surf Resort, setting the standard for international surf resorts. Kandui Villas is a luxury surf resort in the heart of the fabled Mentawais surf zone known as ‘Playgrounds’. The resort is located on Karangmajet Island, directly in front of Kandui left and Baby Kandui, and offers easy boat access to dozens of the world’s best breaks – see Kandui Surfing. 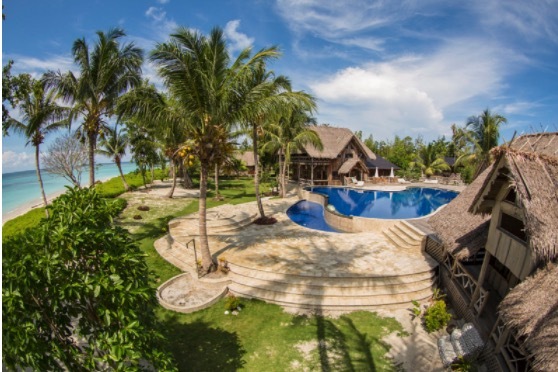 Situated in the Mentawais Islands, Kandui Villas is one of the most consistent surf locations in the world. It plays host to a range of waves that cater to all skill levels from learning grommets to professional surfers. More information about waves can be found at Kandui Villas and daily updates on their here. Accommodation at Kandui Beach Villas is in twelve luxury umas – traditional timber, palm and stone bungalows, each one uniquely finished with natural materials and thatched alang roofs. There are nine individual umas set amongst the beachfront garden setting plus three umas joined into one building which is perfect for families and groups. Each uma has its own shaded porch, garden, private open-air bathroom, ceiling fan, air conditioning, mosquito nets and a choice of three king-sized beds, or two king-sized beds and two double beds. Accommodating from one to four people, they are versatile enough to cater for couples, families or groups of surfers. The spacious two story restaurant is next to the swimming pool and connected by a wooden deck to a bar, games room and palapa. The Kandui Villas menu features local seafood plus a variety of Italian, Japanese, Mexican, Thai, Chinese, American, and Indonesian cuisine. Meals feature organically-grown vegetables from a massive greenhouse on the property. Other activities include beach volley ball, billiards, ping pong, bocce ball, horse-shoes, snorkeling, board games, satellite television for your favorite shows plus news, and sports, as well as a large library of DVD movies. There’s also a spa/massage service, and WiFi internet access. The resort is on Karangmajet island in the Mentawai island chain off the west coast of Sumatra. The usual holiday package includes airfares to Padang airport, where guests are met by a representative from Kandui Villas and transferred by minivan to their Padang hotel; generally the Mercure; for overnight stay prior to the early morning departure on the new direct Mentawai Fast Ferry service from Padang harbor to Kandui Villas resort, the journey taking approximately 3.5 hours. The new direct Mentawai Fast Ferry service operates on a set 10 or 11 night schedule. An alternate ferry/transfer service; Padang to Siberut to Kandui/return operates every Tuesday, Thursday and Saturday if your dates of travel don’t suit the set 10/11 night stays. This journey takes approximately 6.5 – 7 hours. Surfing holiday packages include all transfers, meals, drinking water, games room, and unlimited use of resort boats to access the waves. Spa/massage service, internet access, and drinks are billed to each room. Return travel includes accommodation in Padang if required, with the possibility of additional days for sightseeing.